The vessel is made from abaca pulp, dyed with pigments and layered with chalk pastels. 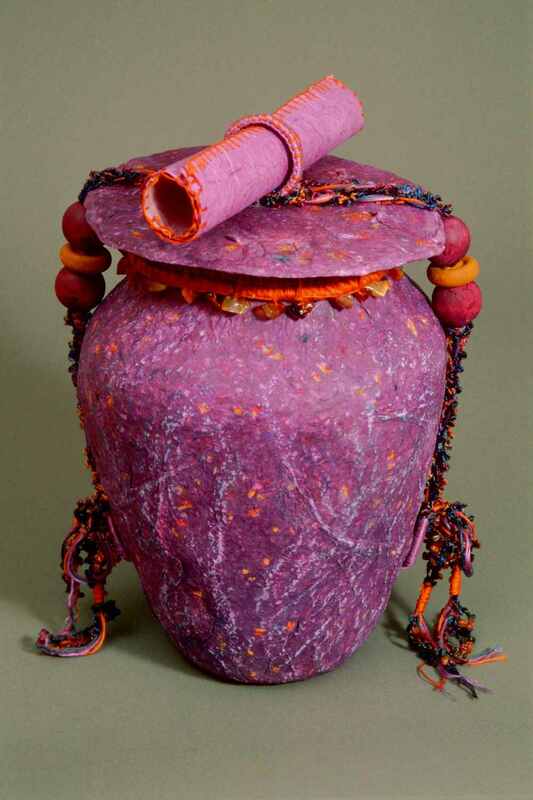 The handmade paper scroll on the lid may be used to write a poem, a thought, a memory, or a prayer. The braid used to fasten the lid to the base is hand woven. The rim on the lid is woven from sea grass and threads and embellished with semi-precious stones. The beads on the braid are wooden.